We have a great range of rivets that offer a quick, simple, reliable and low cost ex-stock way to join sections of material – either similar – metal to metal, or dissimilar – metal to plastic. Blind rivets are stocked in depth by our expert team here at Challenge Europe where we aim to partner manufacturers through the design/development/production cycle with standard or custom specifications. Many rivets are available with a choice of head forms from the standard dome head to large, extra-large and countersunk. A full range of setting tooling is available, including simple handtools for smaller volume work, and sophisticated hydropneumatic equipment to meet intensive production line working. 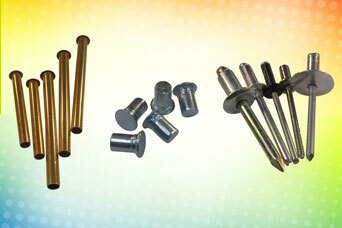 For example, Blind Rivet Nuts which offer the facility to provide an internal thread to the work piece and are set in a similar way to that of a blind rivet. 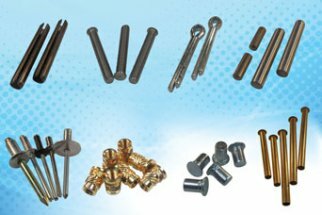 Rivet nuts are available in a comprehensive range of body and head types with material options of steel, stainless steel and aluminium. 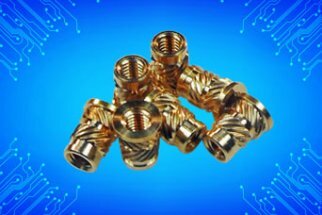 They provide advantages of being able to be easily set in thin material, but have the same properties as a tapped thread in fuller thickness material. 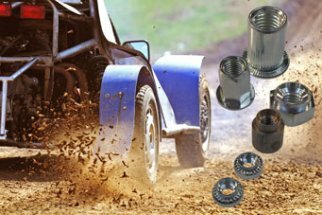 Open End – Provides strong, low cost fastenings ideal for a wide range of applications within the general engineering industry. Available in aluminium, steel, stainless steel, monel and copper alloy. Closed (Sealed) End – Specifically designed to provide a waterproof seal after the rivet has been set. Available in aluminium, steel, stainless steel, monel and copper alloy. Multigrip – Designed to clamp a wide range of material thicknesses as well as having excellent filling characteristics where hole form proves inconsistent. Additional benefit of allowing reduced rivet inventory. Traditionally available in aluminium, but steel and stainless steel versions have been recently introduced. Structural – Designed to provide high tensile and shear strengths for more demanding applications. Available in steel and aluminium. Grooved – Used in conjunction with fibrous materials (e.g. wood) where upon setting the body of the rivet expands and the grooves bite into the material. Available in aluminium. Load Spreading – Suitable for soft or brittle materials where upon setting the rivet body folds back into segments preventing produce damage. Available in aluminium. Peel – Similar to the Load Spreading rivet in design and application, excepting that the rivet body splits open into a ‘petal’ arrangement upon setting. Available in aluminium.